In Indonesia, DFDL has established an exclusive association with Mataram Partners. Mataram Partners is a trusted and dynamic Indonesian law firm has been serving the needs of domestic and foreign investors in Indonesia since 2006. Mataram Partners delivers international standard legal advisory services tailored to international clients, while being solidly grounded in Indonesian law. Mataram’s practice spans virtually all areas of civil and commercial law in Indonesia, across a broad range of industries, including all aspects of investment in Indonesia, concessions, joint ventures, mergers and acquisitions, asset acquisitions, financing, construction, and disputes. According to Asia Pacific Legal 500, Mataram Partners is reputed “very thorough, highly analytical and pro-business, with significant knowledge of local culture/traditions/sensitivities”, bringing a “unique strength to structure transactions with a keen eye on the practical implications”, and providing “timely, appropriate advice and excellent value”. 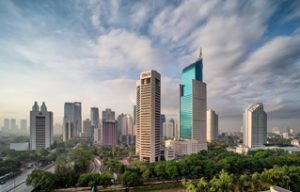 With Mataram Partners’ in-depth knowledge of Indonesian markets, foreign and local investors benefit from international standard up-to-date Indonesian legal advice. Combined with DFDL’s regional legal and tax expertise, they can also leverage from our firm’s long experience in international cross-borders operations for business expansion from the Archipelago.